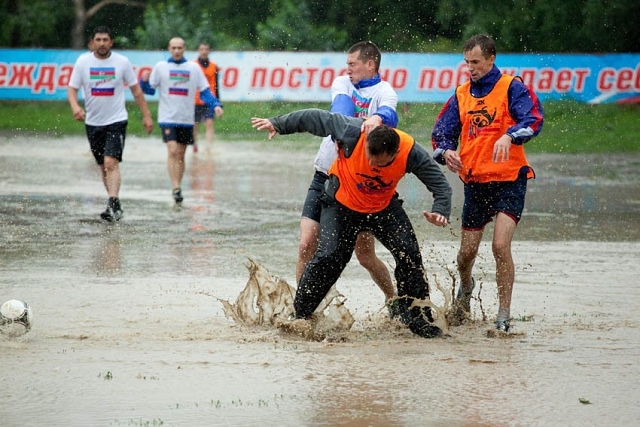 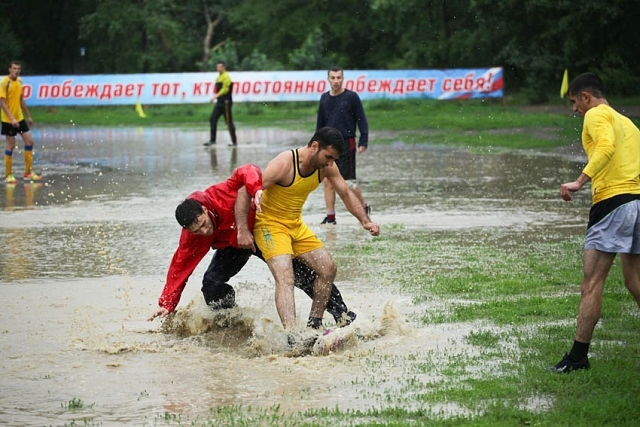 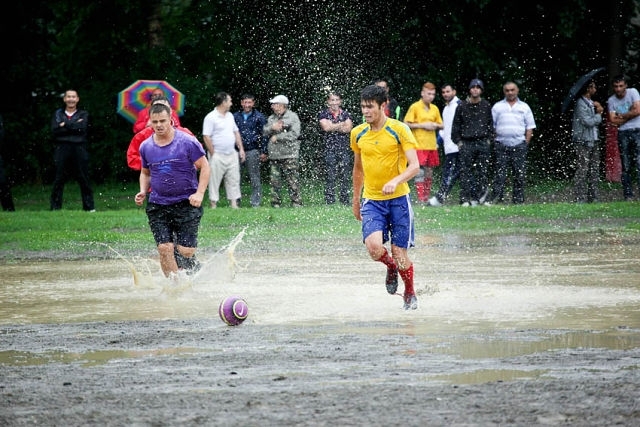 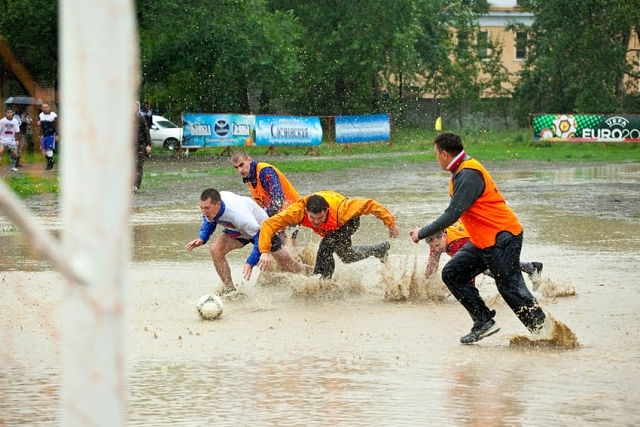 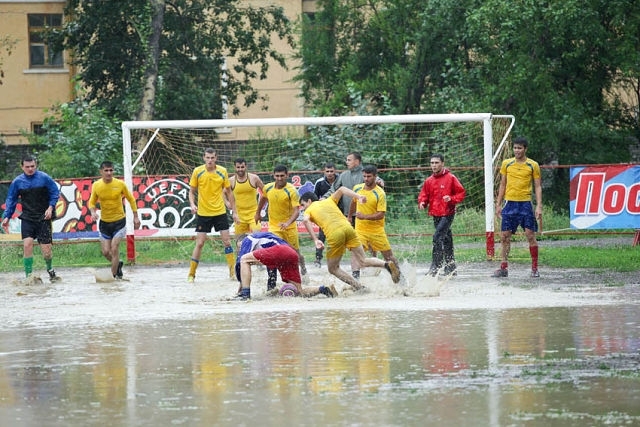 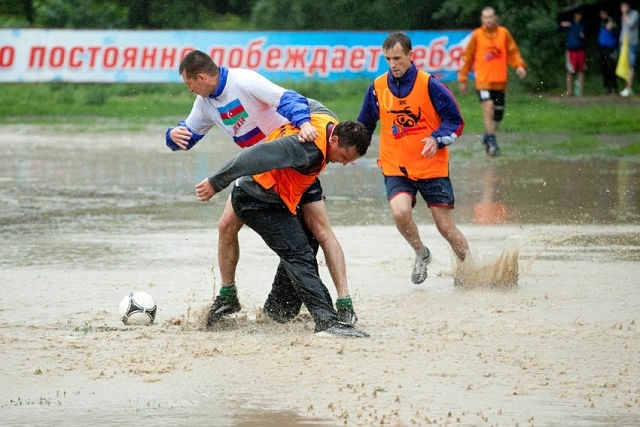 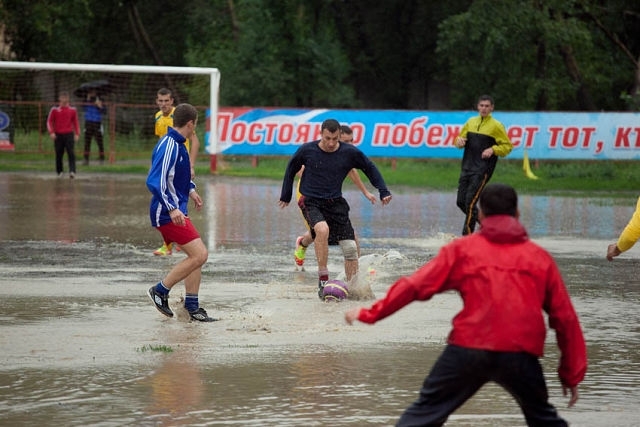 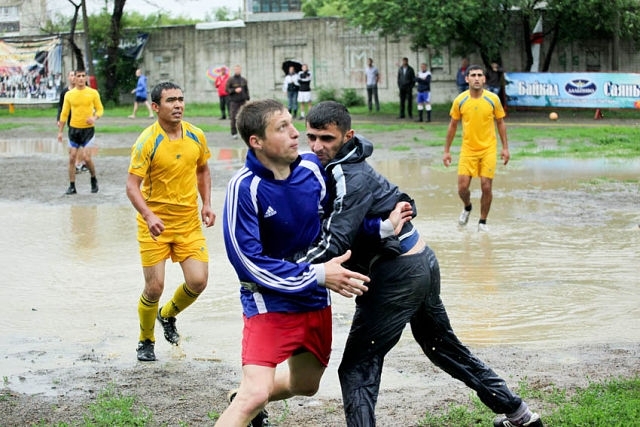 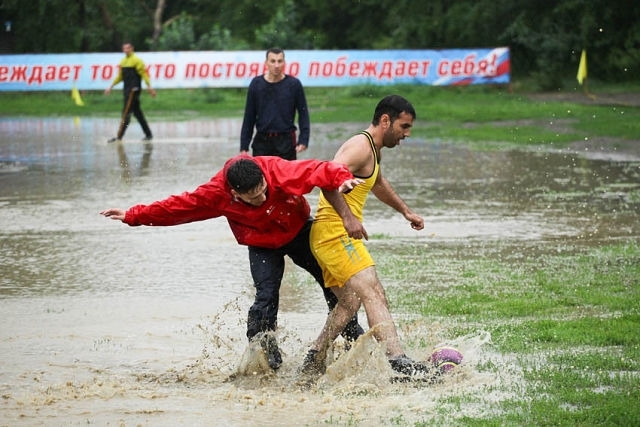 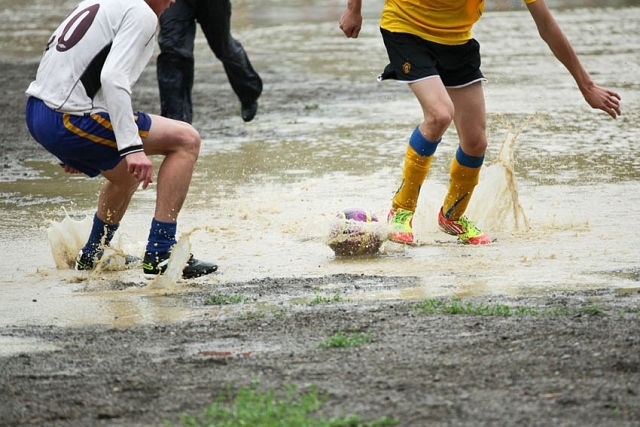 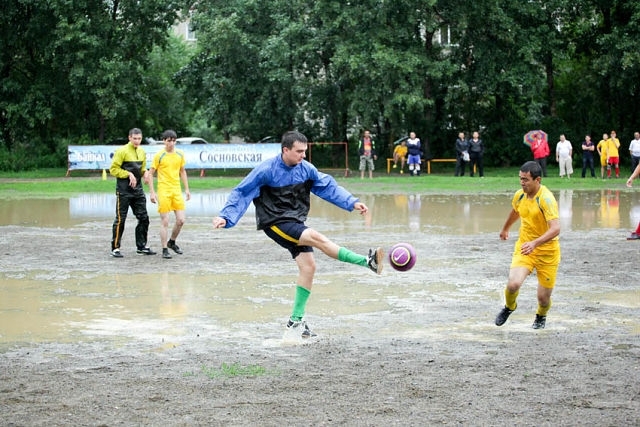 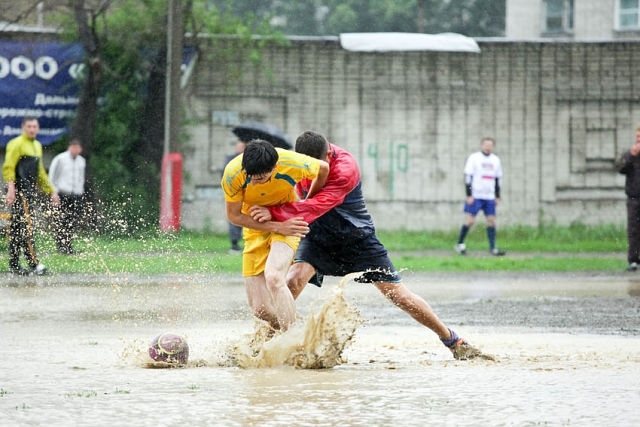 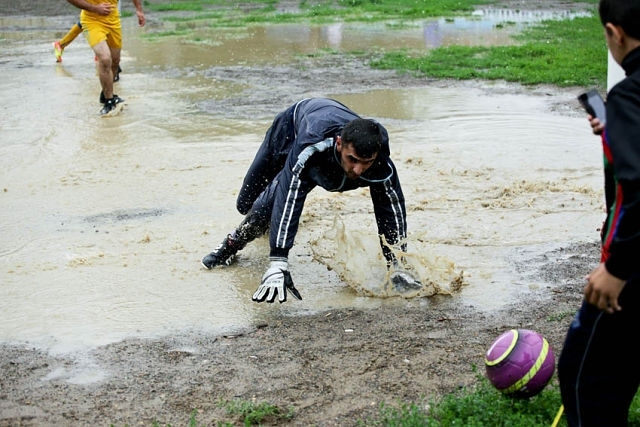 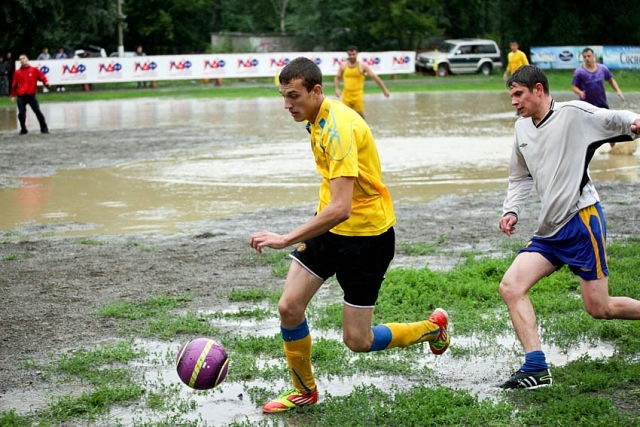 Official football match on a rainy day in Komsomolsk-on-Amur. 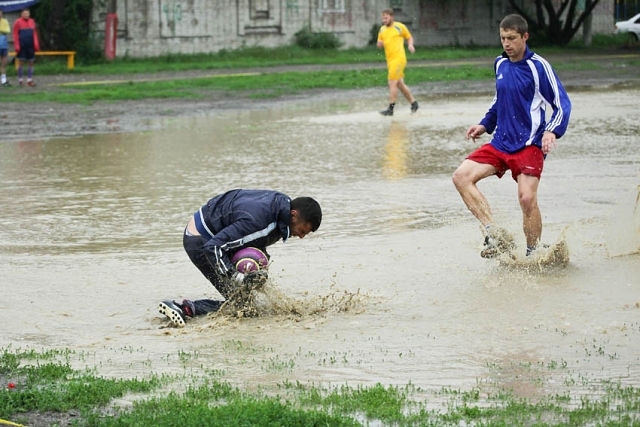 Time to dry the shoes? 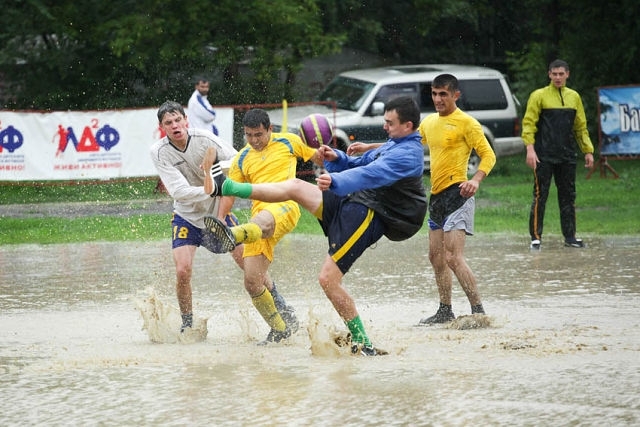 Not fun enough, in indonesia we play bare foot, and only wearing pants. 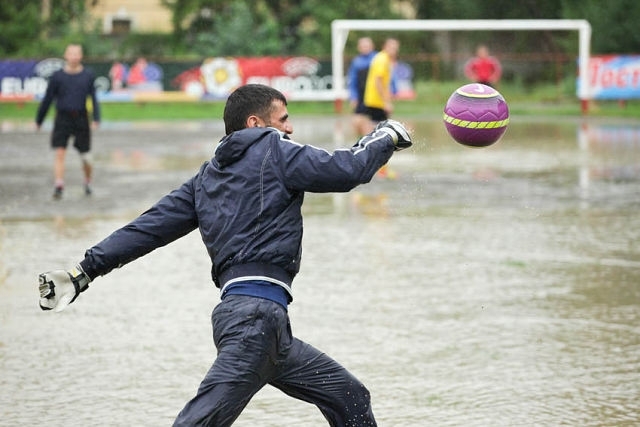 That way better man! 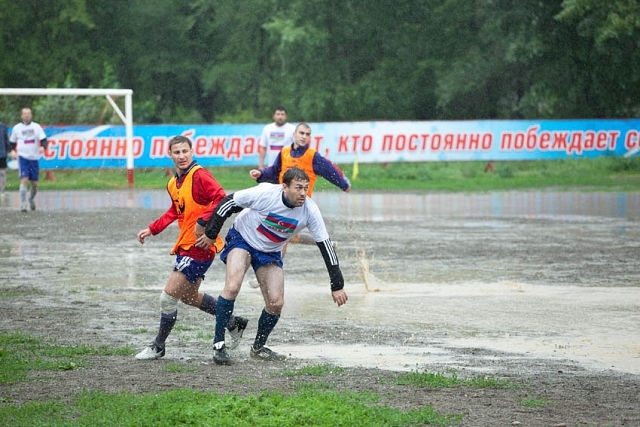 Where they (somehow) forced to play?? 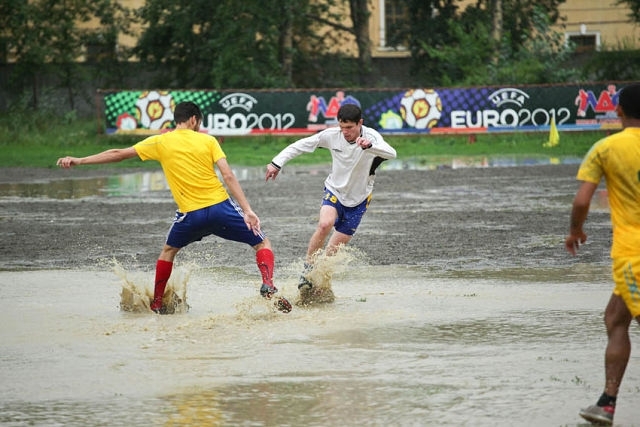 You have to be passionate about football to keep playing there!